Then I come across this thing called a revolution, start watching videos (this guy JB makes it look so easy and fun ) One of the dealers i'm looking at for parts sells them and its on this side of the border ,more reading and I read about the B series (and this guy JB again designed it )so I watch some tutorial videos he makes it look fun and challenging. Read on Kitelife about the differences between reflex and B series ,the dealer has a B series full sail in stock still and if I order it with parts shipping is free for parts so 535 cdn dollars later its on its way . I live on a 160 acre farm plenty of room to fly ,its been windy here so much so that we actually complain about the wind regularly.8 days later kite arrives (Canada post but free so ).First I watch all the dvds , One thing I hoped the dvd would tell me is how to hold the second leading edge in place when using 2 together (john didn't mention it in any of the free online videos I had watched) and it did !! First welcome to the Dark side.. Welcome to kitelife.. And most of all WELCOME!!! Watch JB's tutorials and enjoy the fun.. don't forget to breathe.. You'll get the hang of it..
Hi, and welcome to the forum. Stay with it. A few more times out and you'll have it doing anything you want. Well, almost. Fly for 15-20 minutes and take a break. You'll learn faster that way. Watch the tutorials until you're sick of them and then watch them again a few more times. The instruction JB gives in the beginner vids is GOSPEL. It is tried and proven. Don't deviate from it until you don't need them anymore. Welcome to the dark side. Keep watching the videos and have fun flying. It will get easier and you’ll have several ah ha moments when things click. Welcome and sounds like you are doing great. Be choosy about your wind at first, choppy bouncy or weak wind is a good challenge later but not helpful for the initial learning curve. Breathing and taking breaks is key as it helps loosen your muscle tension. Focus on developing good consistent muscle memory for each skill...and practice each skill each time out. Smile a lot. The wonderful thing about quads is that even a learner is doing more cool stuff with a kite than most people ever thought possible. I pulled out the rev first thing I noticed today vs last time out, my lines all came off the winder perfect what r the chances .So I went with 3 wraps right from the start ,from on its LE to upright a piece of cake , launch was easy just had to pull thumbs back a little top lines were on 3rd knot .Gusts catch me a few times but was able to feel them coming a use brakes to control kite from fast forward motion .Decided to move the top lines back to the first knot, launches now had to be more of a deliberate motion seems to feel better that way . Wind was gusting pretty good didn.t want to break anything so I decided to double up LE with 2 wrap rod ,a little harder to launch but not impossible (still on first knot),the brakes seem to be more responsive ,everything seemed to be crisper faster responses too my inputs .Also anything above 15 feet off ground was fast . One thing I had happen, is when I was backing down to land from top of window, if I went to fast one of the bottom legs of the kite usually the right would, I think snap forward then snap back is this normal?? ps Is there a trick to getting the second LE out of the sleeve ?? nice evolution and if now you are at the first up knot you must to be more less wide move with the breacks. owercontrol make the kite to act like you described. to take of the second leading edge try to pull gently wirh the rods a bit flexed.that will make the ferule to have more friction in rods. To get two LE's out of the sleeve you have to think of the sleeve as a Chinese finger trap. If you're not familiar with it then Google it and watch a video of what it does and how you get your fingers out. Start at the middle of the sleeve pushing the Dacron sleeve material towards its own middle and repeat while moving out towards the ends pushing small segments towards the middle. You may need someone to help you keep the fabric from slipping back to where it was. Or you can squeeze one end between your feet and push the fabric towards where you are holding it with your feet. How many knots do you have in your top leaders? How long are the top and bottom leaders? If you are using stock leaders that came with the handles you will need to modify them to take full advantage of your kite's performance capability and make it easier to learn and advance. Bear in mind, the stock leaders on the B-Series are actually shorter than what most experienced pilots use... As you learn more, you’ll figure out how to use long leaders and still get the kite moving with a little kick or “whump” to activate and maintain the forward drive. There are examples of this in both the Launch & Control and Sail Loading tutorials. Key is, it’s harder to start forward flight when the kite is resting (flat and no frame flex), but once you can flex and hold the frame in a different shape the drive ratio changes to your advantage. are the leaders that r for sale on the site the longer version that you are describing ? tomorrow look like a good day for flying, wind r forecasted to be 10 mph gusting 13 <this bring me to my question is it better to use just 3 wrap frame so the kite can flex a little or double up for a stiffer leading edge ? Other questions that keep popping into my head if I was to use 50ft/ 50lb line with a regular sail how much lighter winds can I fly in ? When I was starting out Cath at Flying Smiles kites recommended that I stick to 90# or 100# lines until I could control landings and launches and keep it off the ground really reliably. She said 50# is much more likely to pop when it snags on ground crud (sticks rocks and such). Yes 50# should help you in lower wind, but JB would tell you that experience will trump equipment every time. While you might be thinking the 50# line will help you rack up experience faster, many would say you will learn faster by being pickier with your wind at this stage. I would say that following the ok or better wind and waiting until I had solid self rescue from the ground techniques has served me well and as a result the 50# lines will hopefully last longer. Also to your question, the leaders on kitelife store are built by TK, JBs wife to the specs he recommends. Yes, those are the leaders you want. No, 50# line won't help at all until you have enough experience in low wind -- it may actually hinder your learning. The 50ft lines decrease the size of the window you fly in and things happen faster -- not helpful when learning. 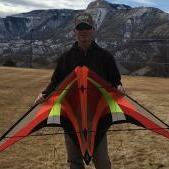 The 3 wrap frame is good to 20 mph wind, and more than that in a vented kite. Don't fly your full sail in 20 mph wind. You'll prematurely stretch the sail material, or worse yet, wreck the kite when you lose control. High and/or low wind flying can be difficult without enough experience. I'm not saying don't fly -- just saying know what to expect. Quad line foils are flown using pretty much the same inputs as a Rev, but with different intensity and timing. Not radically different, but different enough that you'll notice immediately. You won't be able to fly like the videos you've seen for a while, but you'll get closer to that point each time you fly, so get out there and fly as much as you can. Just remember why you fly. Have fun, smile and don't forget to breathe. Being 57 also and just starting out I feel the same about flying no matter the wind. Have duel line quiver for 0 to 30 now and a bag of busted parts.Wind was fantastic this morning. This afternoon hit 40 mph. Man I need another high wind kite. (Spiderkite Neon 1.2 soon) Don't regret the cost of kites or parts because I'm having a blast.Lament a bit but that's just my sophisticated way of whining about it . Started late and a lot to learn in a short time. Acrops advice about 50# lines is spot on.Waiting for winds just drives me nuts but I'd probably be better with a few more kite dollars to spend.2 months in I got a Prism Micron that comes with 50' x 50#. The line set was a disaster in my hands. Snarled,,twisted and snagged that line till one day I destroyed it having fun in 20 to 25 mph winds shaking the heck out of the Micron. Used it on my Pro Dancer and Zephyr also. Just sucked. Swore 50# line was a waste of money and time.No it was me. Few months ago got a LPG 50# x 120' and go figure I love it. Use it on my Pro Dancer SUL and Tekken SUL. Yesterday got a 82' x 50# dyneema set. 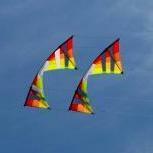 When I determine the length for those 2 kites in 0 to 3 I'll get a better quality line. If your like me sometimes ignoring the wise advice of others and just gotta fly get some 50# dyneema. Pretty cheap if you buy bulk and make your own sets. Yup -- like Breezin said -- just fly. Time on the lines is key to developing your ability. You will make mistakes. We all did. How much risk you take depends on the depth of your pockets. If you have the funds to replace parts and kites and don't mind spending it then go for it. However, making mistakes and repeating them is not the type of muscle memory you want to build, so a bit of prudence will improve the rate at which you improve. Time spent making repairs or searching for THE PERFECT KITE (does not exist) won't teach you anything except that you should have flying. Get the leaders now. They are critical to controlling the beast. The longer you wait the more you will need to unlearn. Thanks for all the input guy it's much appreciated <leaders are ordered!! I was able to get out and fly yesterday ,about 2 hrs in total .The first hour and a half was nice somewhat steady wind ,a lot of going over takeoffs to get them smooth and straight also setting the kite back down softly .Then up to the corners and back to the middle (in a straight line ) harder than it looks in videos. Then tried some figure 8 s ,not sure they were really 8s but close ,still having the problem of loosing forward motion because my hands want to relax the thumbs back position especially when I use the bottom lines to turn .working on spins at the top of window and timing to get the kite to stop pointed in the right direction .Have lightened up my inputs on brake lines, has seemed to correct that flipping of the wing tip problem I was having .Did some ground level passes side to side got down to about a ft off the ground ,the hardest part of that is turning at the end of the pass ,180 degrees not 150 or 210 but I'll get just need some more time, a year or two . One of the biggest things is learning how little it takes to do things, not how much. Flipping the wing indicates what we call "overcontrol". Pretty easy to do starting off. Trouble removing the lines? Add little cheater pulls to the loops, makes it simple to remove lines, adjust leaders. 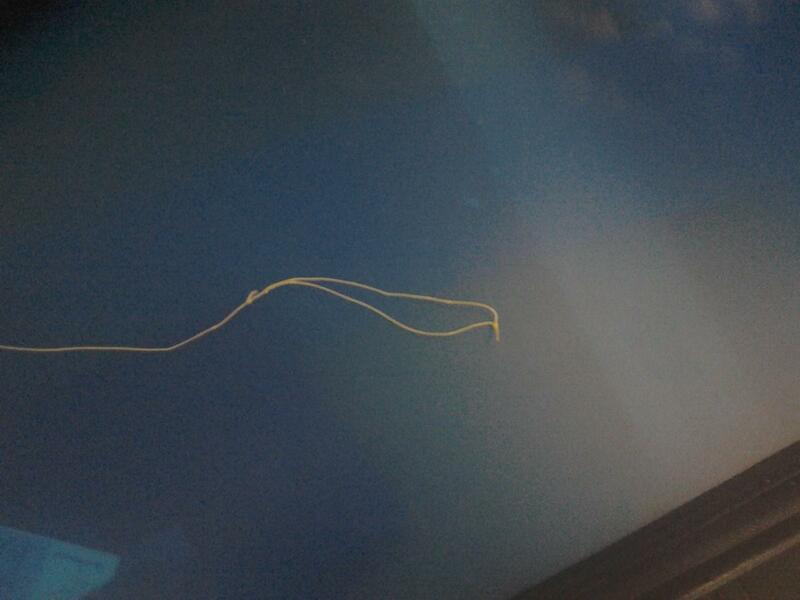 Or if the loops are long enough, tie a knot down near the end. GRRR going to go do 1/2 axle attempts. Again!!!!!!!!! Just a comment, it looks like you are mixing quad and dial in your comments, which is great. However it is not always clear to me which subset your comment or question is about and that may impact the advice given - I don't know. .
As to quad- change your leaders sooner but don't worry about the bridle as they are the same as factory quad. (so far...??). Quad is ALL about making good muscular memories that you can use fluidly. Small, tiny even, inputs= good performance in many cases. Get your equipment set up right so that the muscle memory you build is a good one that you will not have to unlearn. Check you hand position for equalness constantly until your hands are automatically even in placement. Stack the deck in your favor. You can make leaders if you have an eye for detail, or buy them, but get a good set on. Then rewatch the leaders vids and off you go. It gives a tiny little piece that is easier to grab when untying the lark's head knot. As for having the kite flip, as they wrote it comes with practice. 5-10 hours of practice should give basic control, many people can get it with a full day at the beach. Another 30-50 hours should give you enough control that you can put the kite wherever you'd like, and another 50 hours of practice should get all the fundamentals in place. Some skills take longer than others. For me, I kept having troubles with inverted flying. 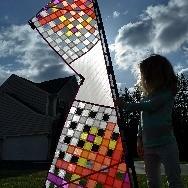 The kite would flip just as you described, or lose all power. After showing people and recording videos of it, people said I was doing everything basically right and just needed more practice. It took me about twelve hours of practice (spread across multiple flying days) focusing on inverted flying and then I could fly inverted as much as wanted. Pick a skill, then actively practice it. There is no substitute for practice.